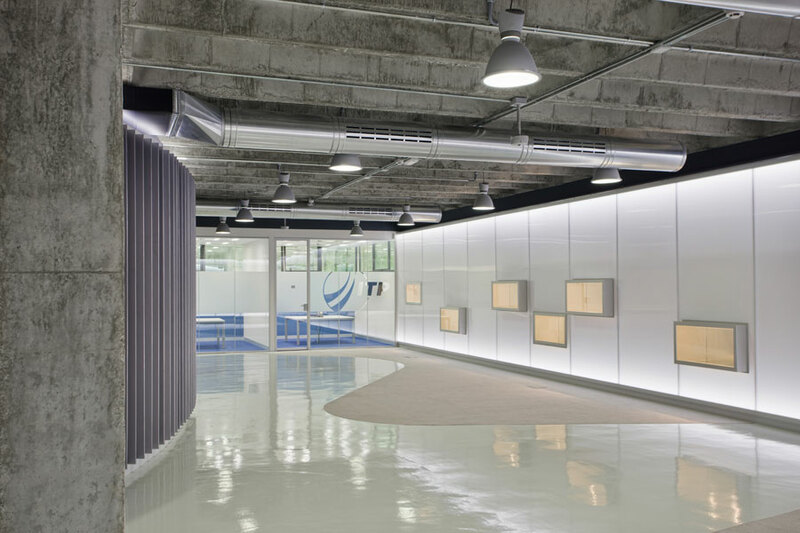 The ITP Aero is a multinational company from the Spanish capital with Headquarters in Barakaldo, Vizcaya, with more than 25 years history in the design and manufacture of components and modules for aero and industry engines. 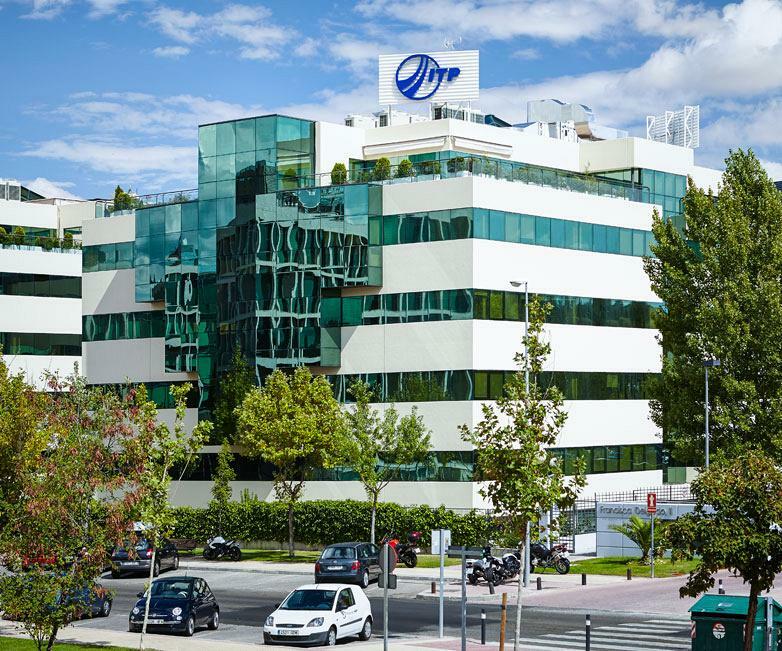 Currently, it is the ninth company worldwide in this sector thanks to its exclusive technology, high quality products and respect towards the environment and the talent and commitment with which its employees address excellence and customer satisfaction. ITP Aero is a partner of major civil aviation programs and is also from a consortia of European Defence (EUROJET, Europrop, MTRI) which have in turn, with benchmark partners such as Rolls-Royce, GE, P & W, Snecma and Honeywell. 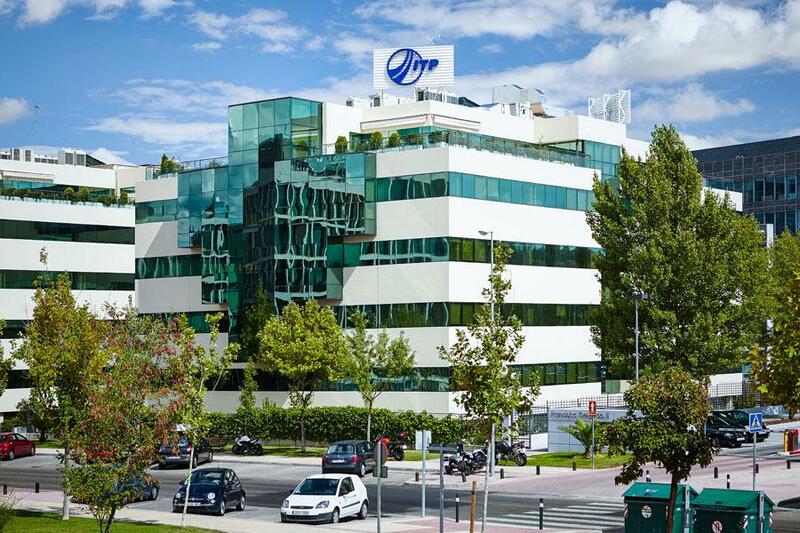 ITP has 18 operational centres around the world: Spain, The UK, Malta, The USA, Mexico, China and India. 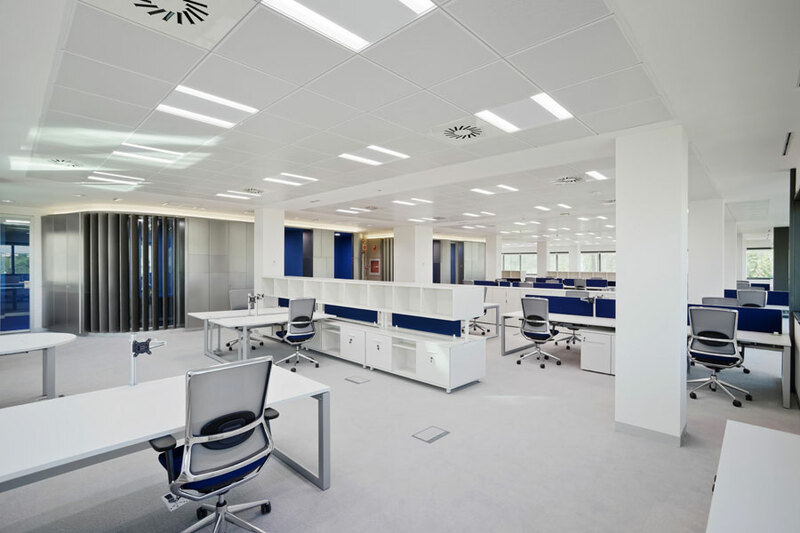 Actiu was selected to install five floors which make up the Headquarters in Alcobendas (Madrid), where ITP have centralised the Commercial Offices, the ITP management centre, the Civil and defence business units and the the Economic and Financial Development and Corporate Planning, Organisation and Media Counsel. 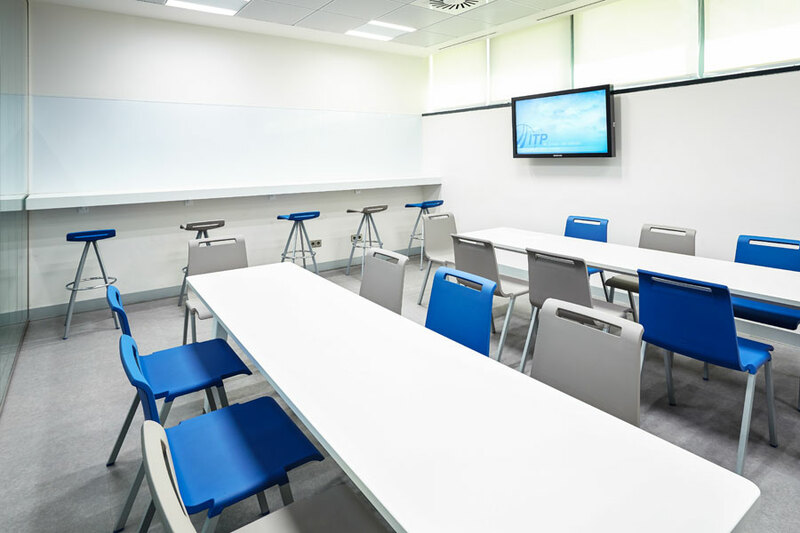 One of the main reasons for the choice, as well as the quality, design, freshness and versatility of the Actiu product, was because of the commitment to meet its deadline: four weeks to complete the installation. 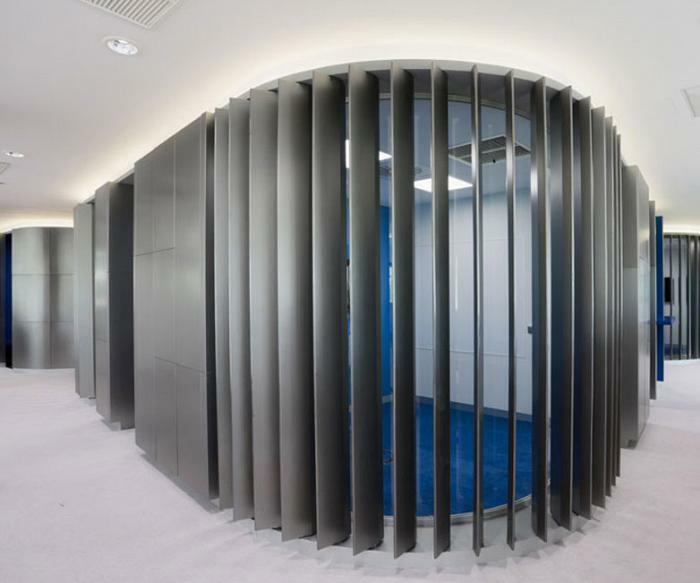 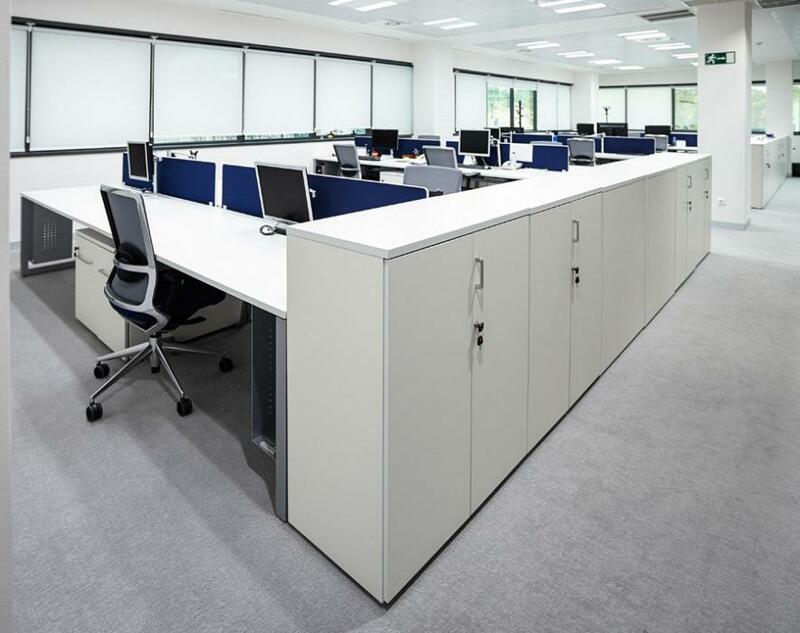 The ability of the company was also crucial to manufacture, not only standard furnishings, but specific solutions tailored to the needs of the project. 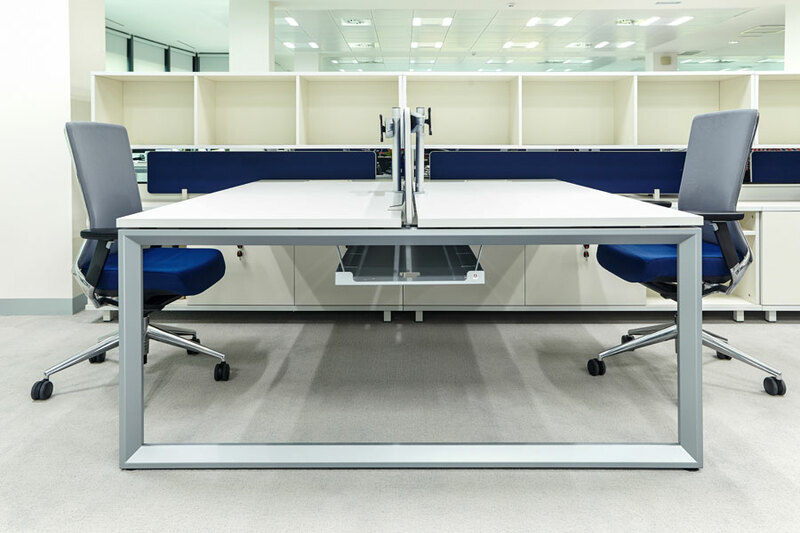 The configuration of the operative positions were carried out using Vital Plus Spine, a new solution for ensuring more efficient work spaces. Sharing the four elements, (desk, lower and higher filing and screens). 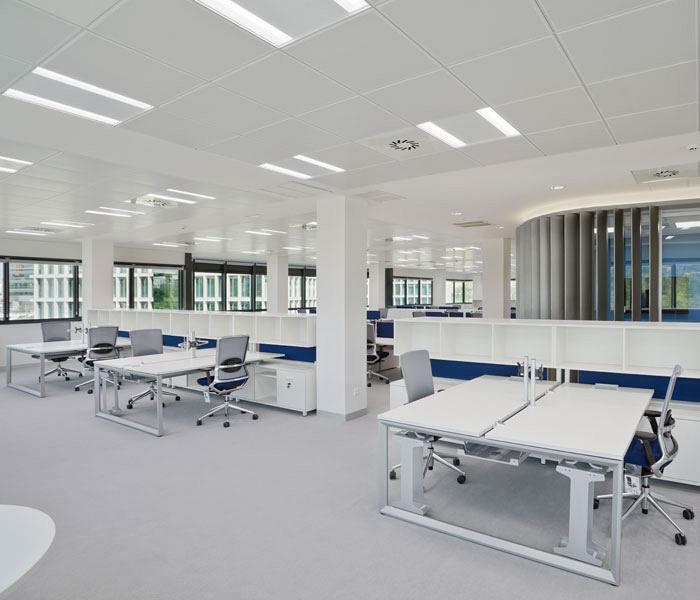 Spine is articulated as a 'backbone' in which the different compositions are attached to it fusing several daily work solutions in the same position. 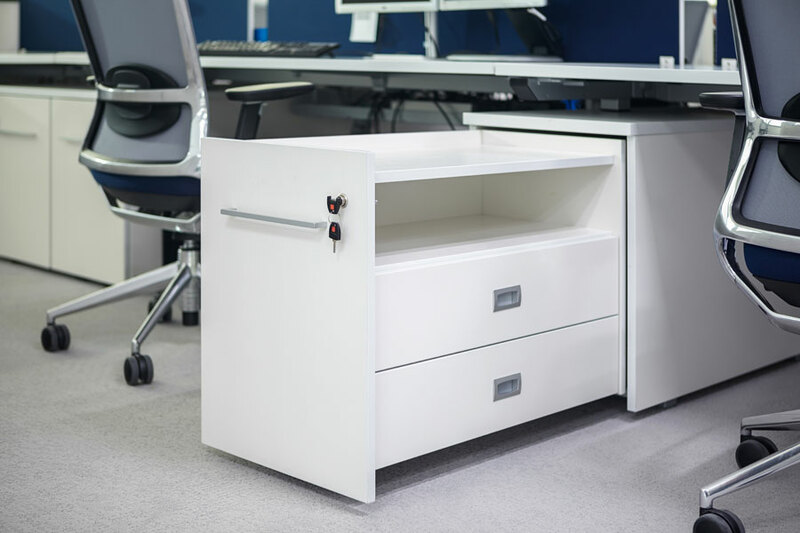 The removable pedestal, with inner drawers and shelves, was one of the most valued resources for ITP Aero, since these allow one to keep the work surfaces clean and organised, facilitating the order in the office. 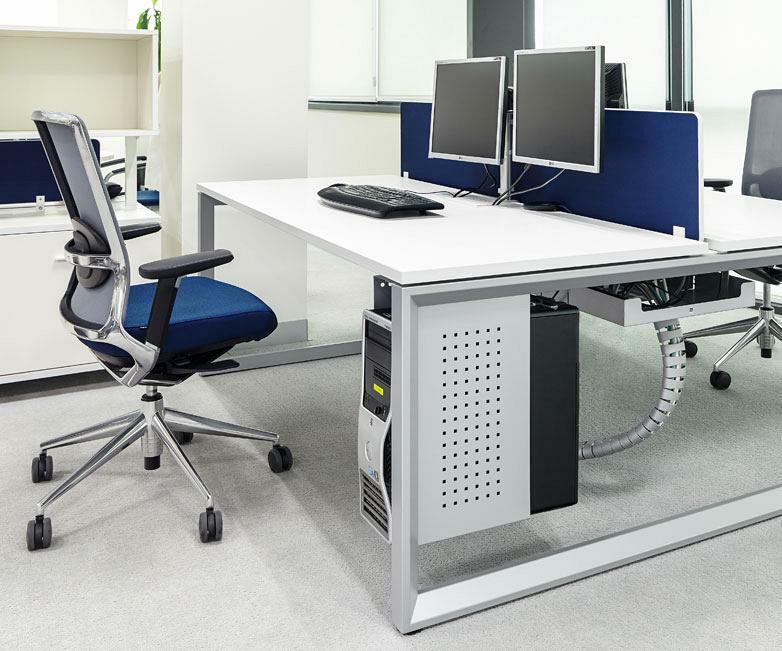 The TNK 500 chair was used for all operating positions. 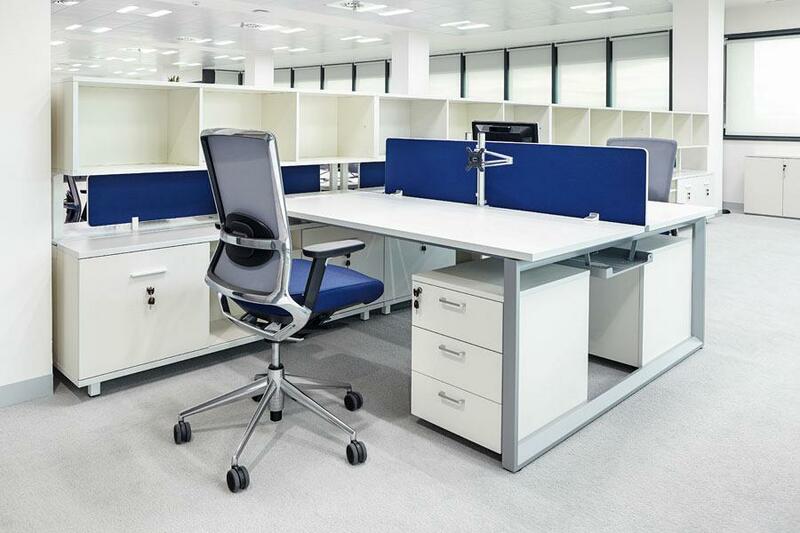 The sum of functional, techniques and technological details make it a very comfortable, timeless and elegant chair. 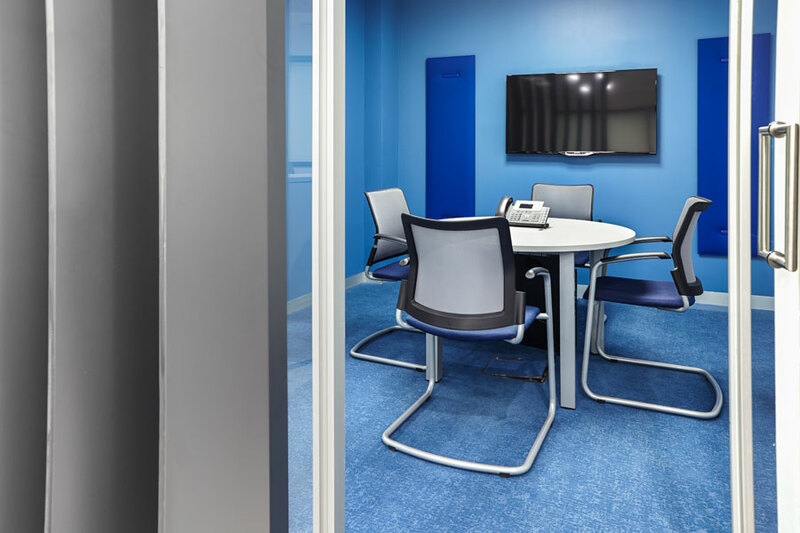 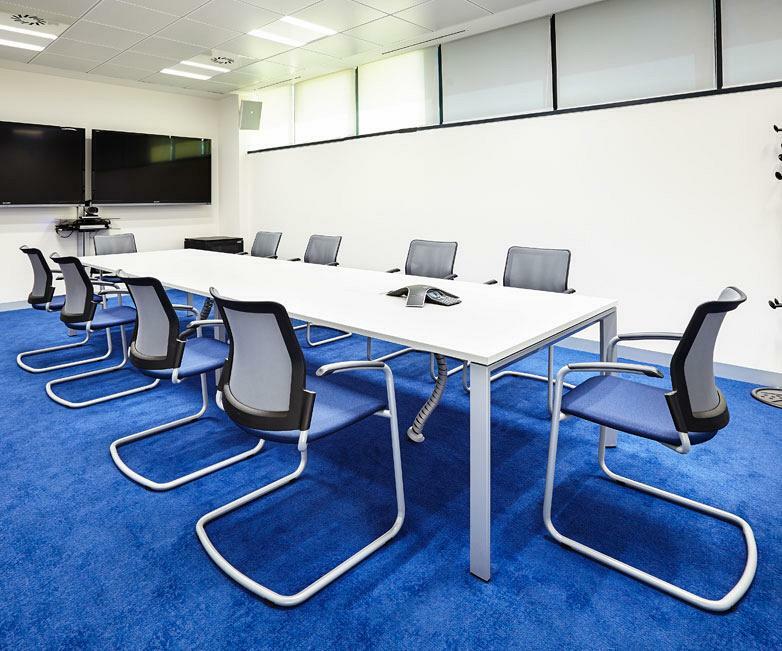 Furthermore, to define each workspace, soundproofed screens were placed, upholstered in corporate blue, the same as the seats of the TNK 500 chairs which gave the environment a unique effect. 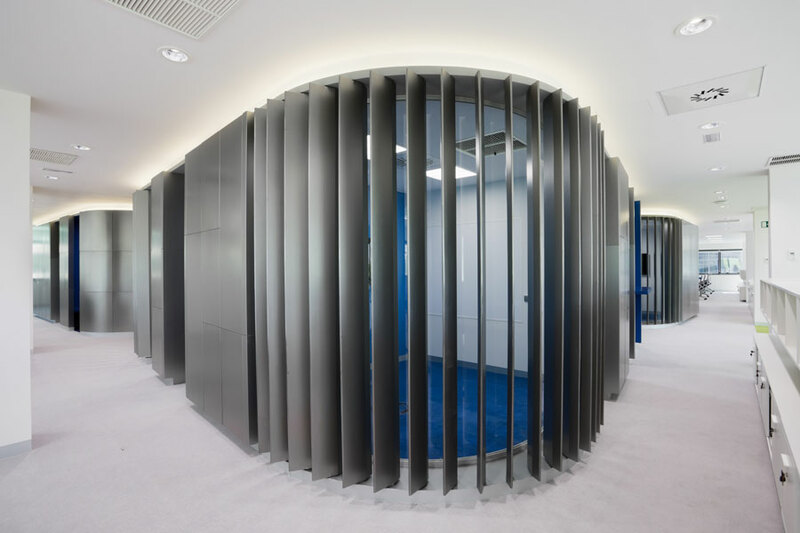 The environment was designed with an original distribution, a futuristic style, which in turn is very functional. 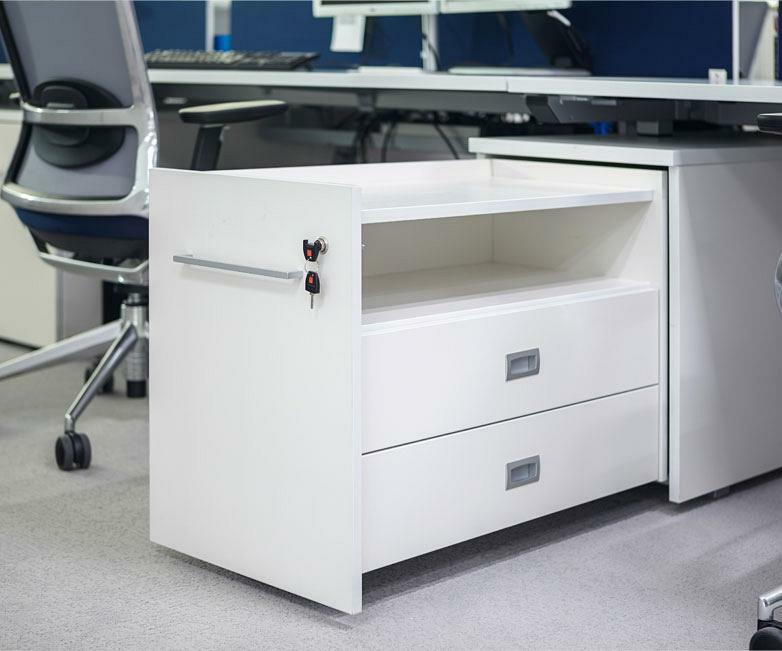 The workshops are distributed under the open office concept around some boxes that make an enclosed space, of different dimensions, for meetings or for situations in which greater concentration or privacy is required. 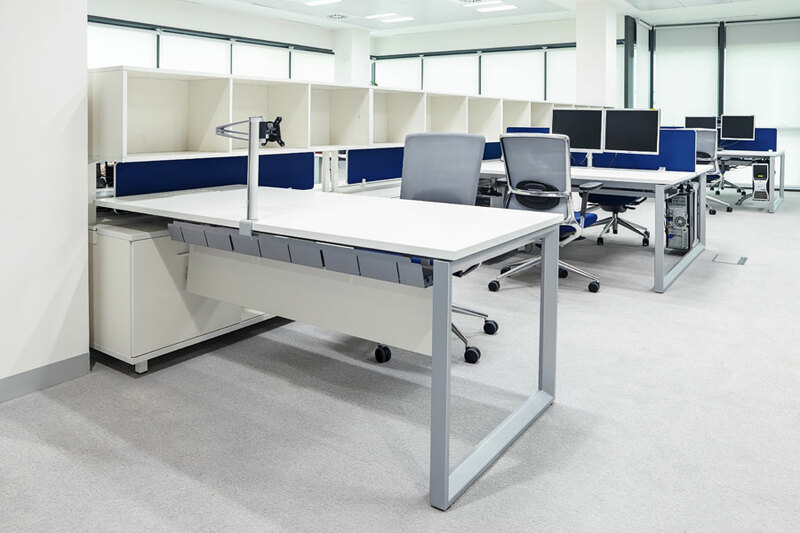 The Vital Plus desks furthermore, allow the integration of cable management in the same cabinet leaving the floor and the work surface free from cables. 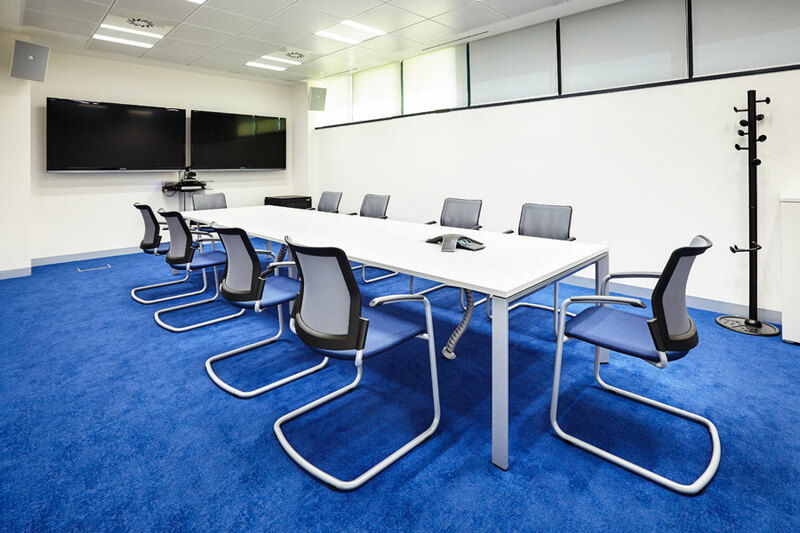 For the meeting rooms the Vital Plus desks were also installed, in different sizes and where the electrification has been incorporated using the top Access system. 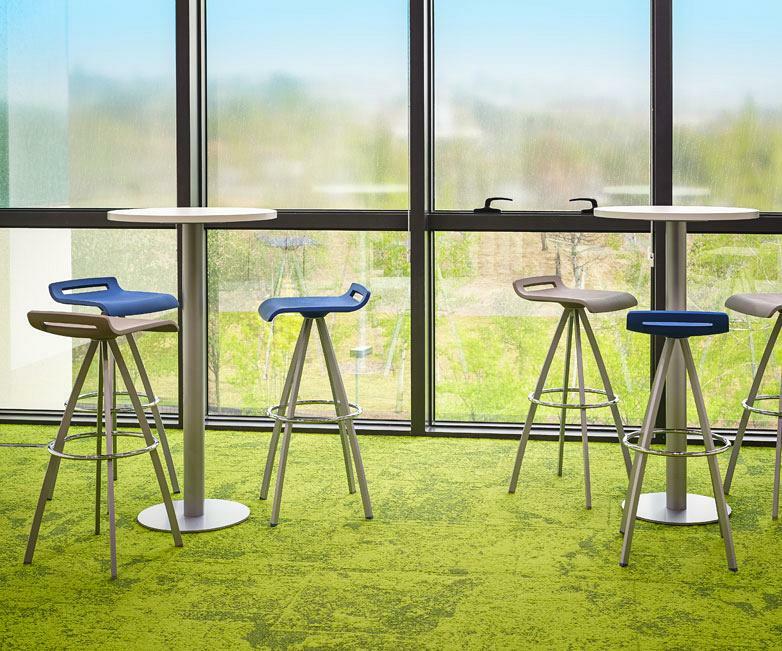 The Urban Plus chair completes the composition. 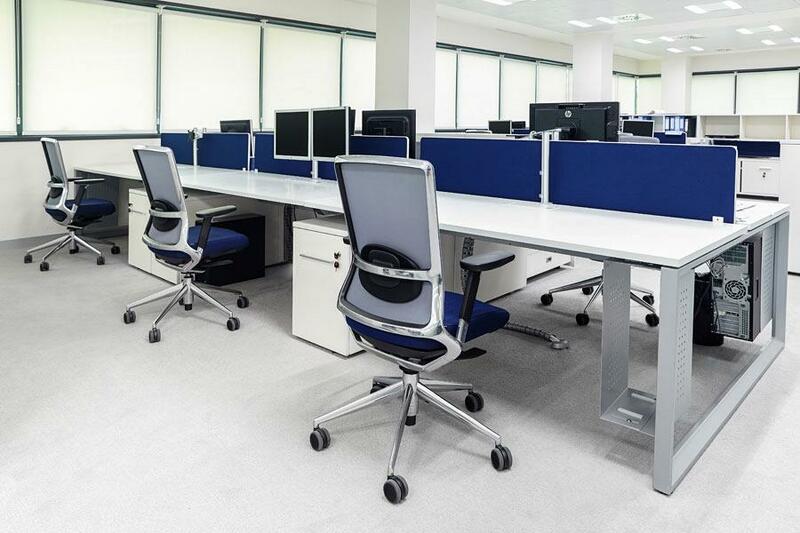 It is treated as a versatile seat with natural and ergonomic lines which add a discreet style and an elegant presence that complement its comfort. 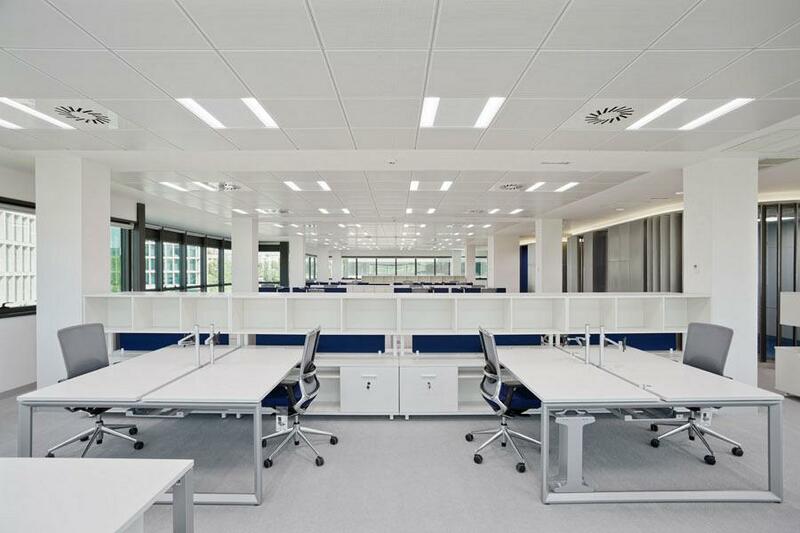 The communal areas share the same aesthetics, although with slight variations in the selection of products. 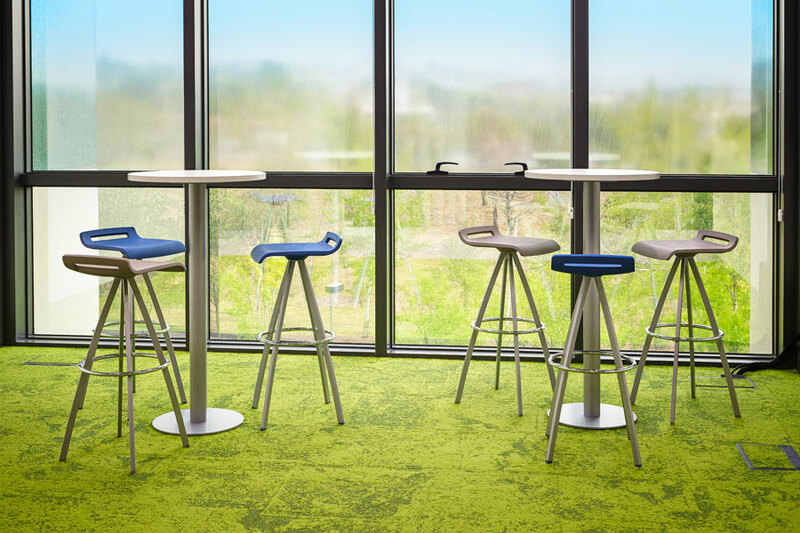 In this case, the Mit chair was installed, a universal chair with an ability to integrate with boldness in any current space. 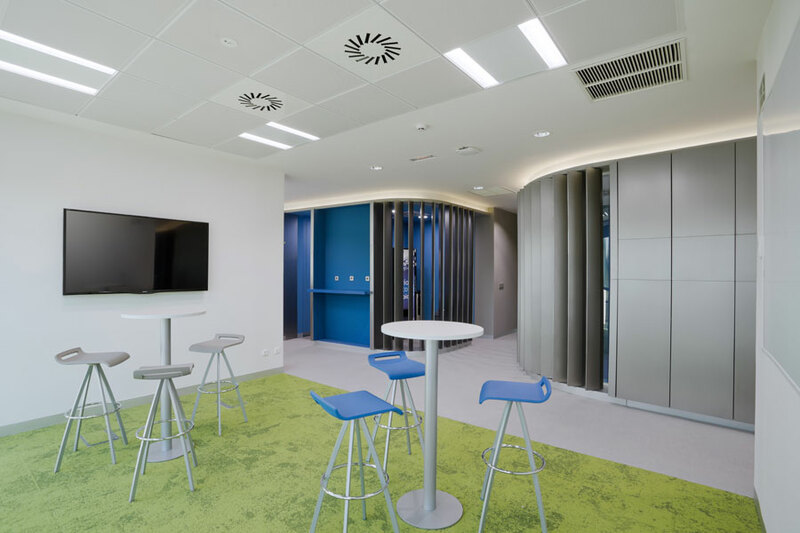 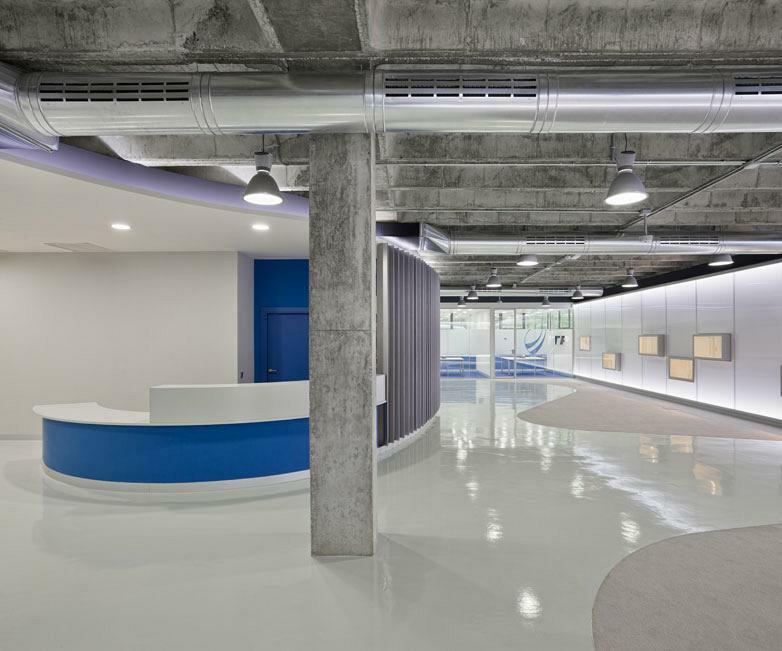 The ITP Aero company wanted to differentiate itself, using decoration and office furniture, the work areas were aimed at those moments of leisure and creativity. 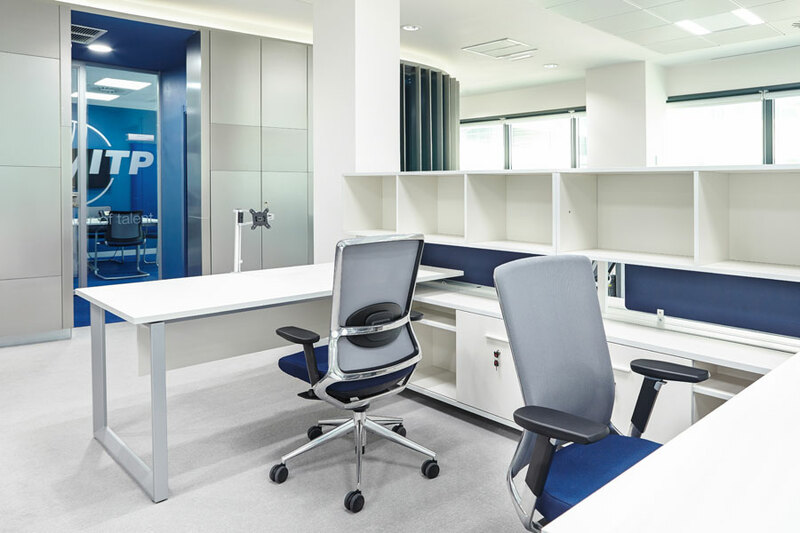 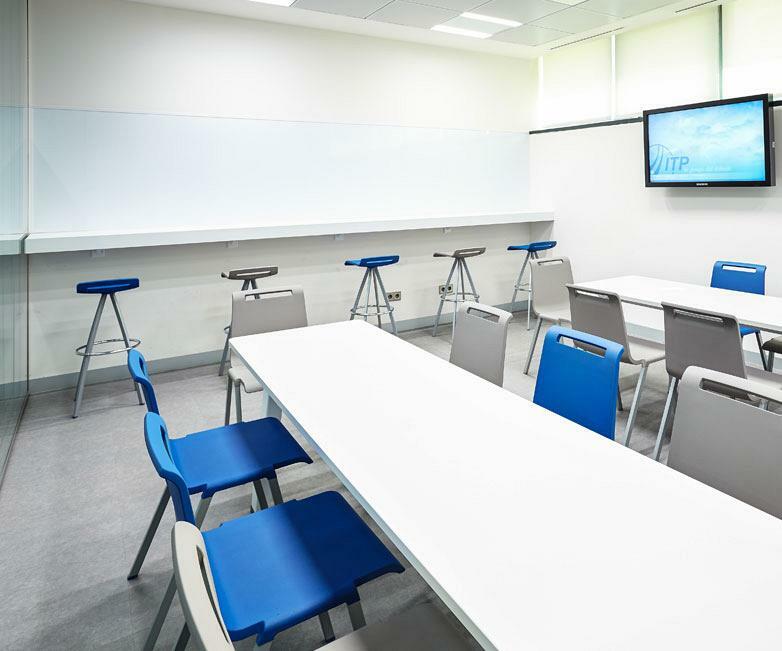 In the operating spaces the same line of furniture and colours were kept (white and blue), the creative environments invite one to innovate with high desks and Mit stools that keep the user in a more elevated and active position. 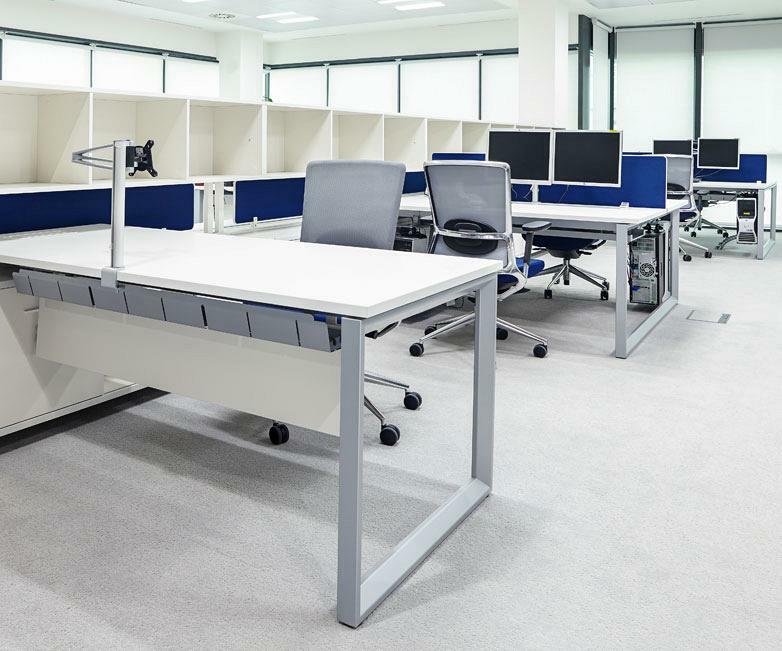 The result is a project in which the effectiveness and the business values have been combined to create a harmonious, pleasant and highly productive environment.